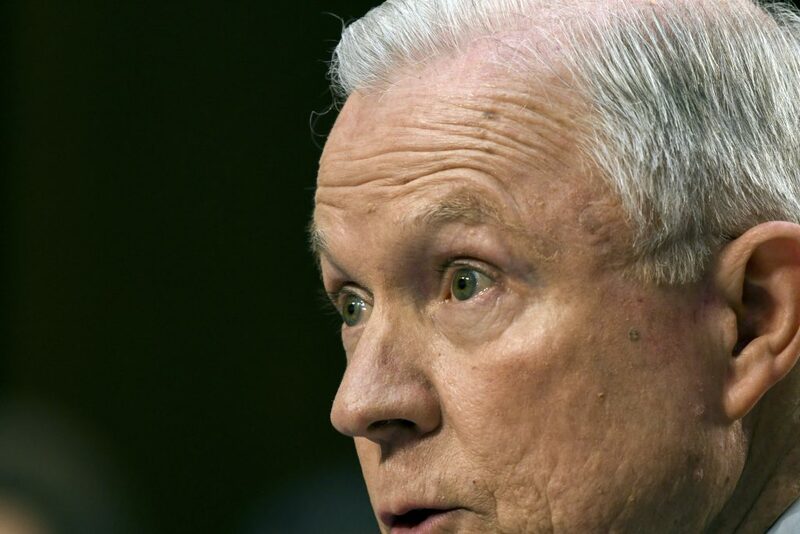 During a public appearance at the Department of Justice on Thursday, Attorney General Jeff Sessions called on Congress to curb due process for immigrants by making it more difficult for an individual to seek asylum and to increase fast-track deportations. In his speech, Sessions focused heavily on America’s long-standing system that provides asylum to those seeking safety and protection, claiming it is “subject to rampant abuse and fraud.” He argued that increased claims of “credible fear”—where an individual apprehended at the border expresses fear of persecution if returned to their home country—are an indicator of asylum seekers abusing loopholes in the immigration system. The fact is that the uptick in protection claims has corresponded with the dramatic increase in violence in Central America during that same period. In particular, in the spring and summer of 2014, when many thousands of women and unaccompanied children from Central America journeyed to the United States seeking asylum, they were fleeing unprecedented violence in Honduras, Guatemala, and El Salvador, then the murder capital of the world. Thursday’s call for cracking down on children and asylum seekers at the border is illogical given the dramatic drop in border crossings this past year, which Sessions himself admitted at the beginning of his speech. The Attorney General also focused his attention on the growing backlog of immigration court cases and called for an expansion of expedited removal, initially proposed in President Trump’s January immigration executive orders. Expedited removal is a process by which immigration officers can quickly deport certain noncitizens who are undocumented without bringing them before an immigration judge. This rapid process, which is currently only applied to individuals apprehended within two weeks of arrival and 100 miles of the Canadian or Mexican border, increases the possibility that people are being erroneously deported from the United States, potentially to imminent harm or death. Expansion of this process would further curtail due process by preventing more individuals from having their day in immigration court. Since many, but not all, of these changes require legislative action, Sessions urged Congress to pass laws in order to effectuate these changes. Many of these ideas came directly from the White House “principles” released last week. Thursday’s attack on children and asylum seekers, coupled with calls to curtail due process for those seeking protection, struck a new low. Sessions’ speech was just more of the same from an administration that has continuously shown it is determined to make America a less welcoming nation.